Marina Del Rey, May 10, 2005 – The Rechargeable Battery Recycling Corporation (RBRC) was recognized with a 2005 Outstanding Sustainable Style Achievement (OSSA) Award in the category of ?Industrial Design & Consumer Products? for its national Call2Recycle program on April 27, 2005. Held this year at the Ritz Carlton Hotel in Marina Del Rey, California, the 2nd Annual OSSA Awards Ceremony was held to honor individuals or firms for exceptional and exemplary work in the design of consumer goods, automobiles, technology, etc. The award ceremony is held each year in April to coincide with the many Earth Day celebrations taking place around the world. RBRC?s award-winning Call2Recycle program is the nation?s most comprehensive rechargeable battery and cellphone recycling program featuring more than 30,000 collection locations across the nation where consumers can drop off rechargeable batteries and old cellphones. Cell phones collected through the Call2Recycle program are recycled or refurbished and resold, with a portion of the proceeds benefiting national charities, such as Boys & Girls Clubs of America and the National Center for Missing & Exploited Children. ?We are extremely honored to receive such a prestigious award for our battery and cellphone recycling efforts,? said Ralph Millard, Executive Vice President, RBRC. ?For the launch of our new cellphone recycling program, Call2Recycle, we wanted to make the message relevant and compelling to a broader population, including the younger ?X and Y? generations, women, and trendsetters in the world of fashion. We are pleased that our approach was recognized by the Sustainable Style Foundation.? Since 1994, RBRC has collected more than 26 million lbs. 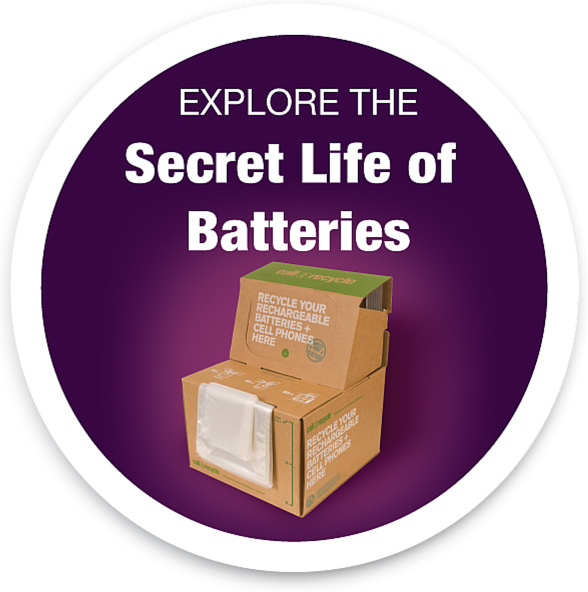 of rechargeable batteries. Consumers looking for more information on how to recycle used rechargeable batteries and old cellphones are encouraged to call toll free 1-877-2RECYCLE or log on to www.call2recycle.org. The OSSA Awards recognize outstanding social and environmental efforts across the many and diverse style and design industries that help us all “look fabulous, live well and do good”. The OSSAs are designed to showcase the amount and breadth of sustainability efforts underway in style industries, as well as foster cross-industry awareness and inspiration. Above all, the OSSAs provide incredible role models for us all to look up to. ?The Call2Recycle program has made it extremely easy for us all to recycle a product that is clearly so disposable. The responsible choice when getting rid of an old cellphone or rechargeable battery is to include it in your errands. Call2Recycle has made it that easy,? said Rebecca Luke, Co-Founder and Sr. Stylist of Sustainable Style Foundation. ?The Sustainable Style Foundation’s vision is to recognize programs such as Call2Recycle and showcase them as examples for us all and prove that it is truly very simple to make sustainable choices within our individual lifestyles.? Call2Recycle is the industry?s first and only product stewardship program for rechargeable batteries. The nonprofit program is administered by the Rechargeable Battery Recycling Corporation (RBRC), a public service organization dedicated to rechargeable battery recycling. There are more than 30,000 Call2Recycle drop-off locations throughout the U.S. and Canada. More than 175 manufacturers and marketers of portable rechargeable batteries and products show their commitment to conserve natural resources and prevent rechargeable batteries from entering the solid waste stream by funding the Call2Recycle program. In pursuit of its mission, Call2Recycle also collects old cellphones, which are either recycled or refurbished and resold when possible with a portion of the proceeds benefiting select charities. For more information, call 877-2-RECYCLE or visit www.call2recycle.org.